Pests ruin a guest's experience and can tarnish your reputation. That’s why we take a proactive and scientific approach to pest management in hotels and lodging. With Thorn’s proactive pest control for the hospitality industry, you can make sure that your guest’s rooms are and remain pest free. From bed bug inspections and removal to regular pest control monitoring services, we’ll keep your hotel full of happy guests instead of pesky pests. We do this by proactively inspecting, finding pest issues, and eliminating them before they become a widespread infestation. Know exactly what is happening on your property. You don’t have to simply hope that things are going well, we can show you with detailed reporting. We track everything so you don’t have to. 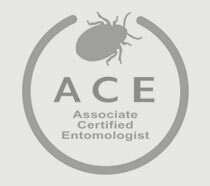 Thorn is one of the leading bed bug experts in the nation. We have services to help the hospitality industry manage bed bugs including: bed bug dogs specially trained for inspections, bed bug heat treatments, and bed bug prevention programs. Take preventative measures and don’t wait for the next bed bug infestation to strike. Protect your property, protect your reputation, and give your guests a great experience. 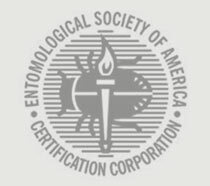 Guests demand pest free accommodations. Nothing can ruin a guest’s experience faster than a pest infestation. A guest is likely to share this poor experience with family, friends, and through online reviews. We can help prevent and eliminate pests quickly. We have hotels with $85 a month services to hotels with $600 a month services. Let's be inhospitable to your pests.